The Art Consultants at CAMA have selected Frank Bruckmann as the newest featured artist for the Smilow Healing Arts Gallery solo-exhibition (Yale New Haven Health). 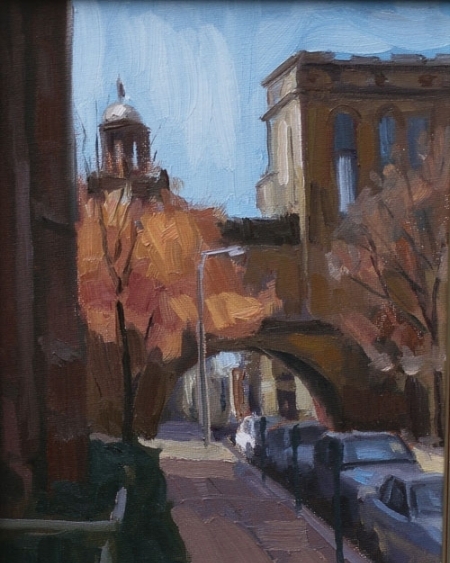 A resident of New Haven, CT, Bruckmann's art celebrates the unique and diverse New Haven community through his thoughtfully painted scenes of the city and the activities that take place within. 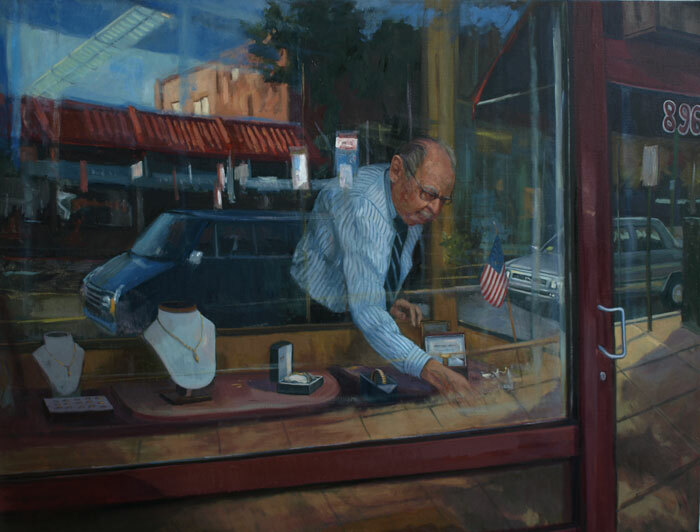 Bruckmann's past exhibition, "Occupational Spirit", demonstrates the power of his art in establishing a strong sense of place and community - through a series of paintings that peer through the windows of small, longstanding shops in New Haven, the collection honors the lives of the people behind the city's influential small businesses. Bruckmann's community-centered art not only comforts visitors of Smilow Cancer Center but also compliments Yale New Haven Health's commitment to connect with the communities it serves. In support of research showing that art can play a beneficial role in the healing process, Yale New Haven Health established The Hospital Art Program for their Smilow Cancer Center campus in 2009. The program contains over 700 pieces of original art and serves to provide emotional healing for patients and their families. Part of the program is the Healing Arts Gallery, a solo-exhibition gallery that showcases collections of work by New England and Mid-Atlantic artists. The gallery, curated by CAMA, rotates every 6 months. Offerings like the Hospital Art Program at Smilow Cancer Center greatly enhance the quality of an environment, especially in healthcare settings where design and amenities directly impact how patients perceive the quality of care they receive. After close to 10 years, The Hospital Art Program at Smilow Cancer Center continues to receive tremendous positive feedback, delighting thousands of patients, families, staff and passerby. Learn more about how art is transforming the lives of patients at the Smilow Cancer Hospital.